Always nice to see this fantastic collection.Well done. At the risk of Garfield permanently banning me from IRM, I'll make a horrible confession. That makes two of us. When freshly applied it did look good. Preferred the Dark navy and cream that preceded it mind you. Any livery is better than the current one for Dublin Bus! All it does is attract wasps in the summer months. You're lucky I liked it, too! Thanks lads,I have one more to build so I might do another in that livery. Here is the opposite side view of the bus as she heads back into town. just brilliant really!! a real kick back to the glory days!! Absolutely fascinating layout. 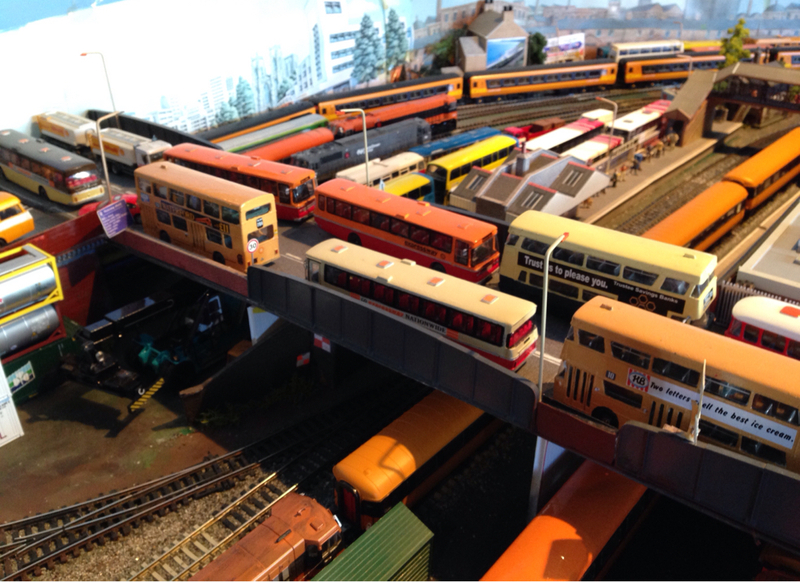 Trains and buses. Whew! I'm not the only desert-sand enthusiast; that's a good few out of the closet now! 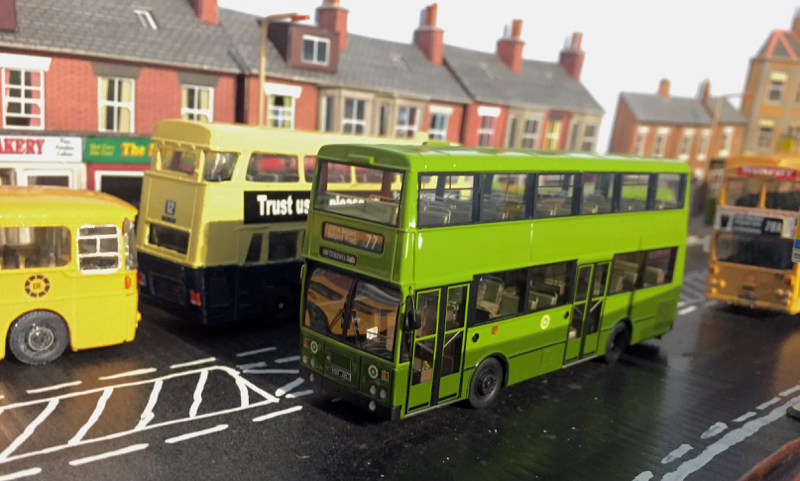 My earliest memories, of course, were of green buses with "flying snails", and UTA green ones up north. Absolutely fascinating layout. Trains and buses. Whew! I'm not the only desert-sand enthusiast; that's a good few out of the closet now! 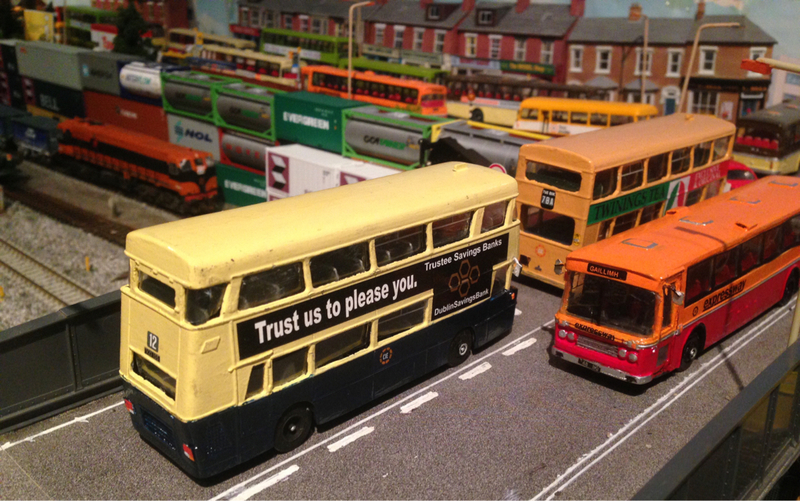 My earliest memories' date=' of course, were of green buses with "flying snails", and UTA green ones up north. [/quote'] Thank you Jhb.. Thanks to Jim Poots for providing the kits. They'll look well in that livery! 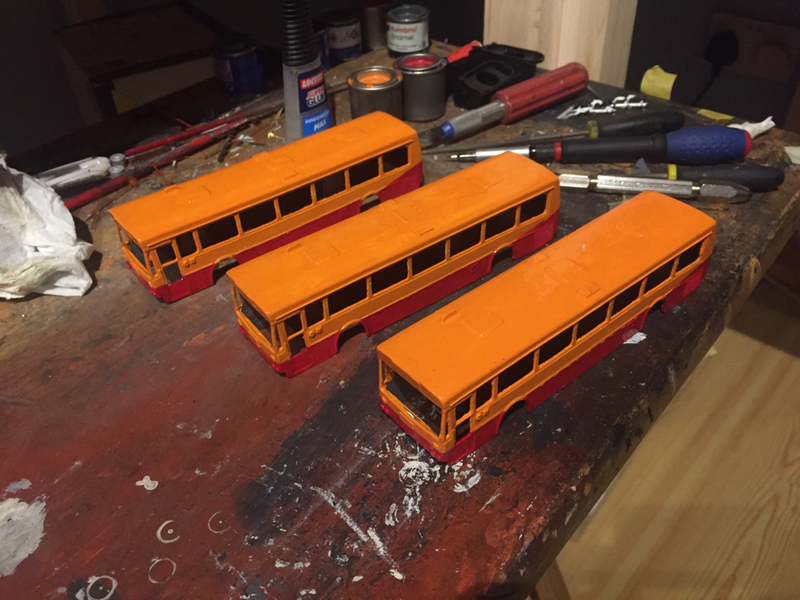 New additions to my bus fleet are the recently released SP111 Expressway buses by Brian Collins-thanks Brian for a wonderful model, Now to get my act together and build a depot. Stunning models on a stunning layout. Enjoy the updates. Those look fantastic. Full marks to Brian Collins Enterprises. Thanks Noel, they look great on the layout. Thanks John, it was good to speak with you at the weekend. Thanks very much. It makes the countless hours put into the project worthwhile when it's well received by collectors. 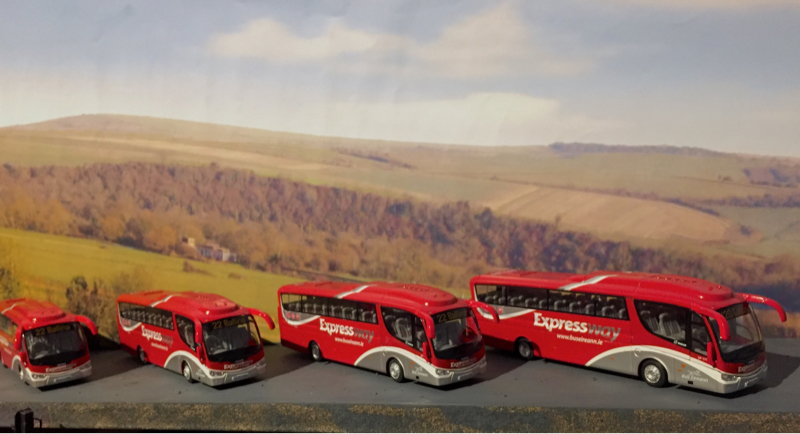 Looking forward to seeing your KE CIE expressway coaches finished Noel. Excellent picture Noel, you nearly get the impression it had been raining earlier before the shot was taken. That looks real. Superb scene. Wow, missed these. The KD is a stunner. Who is doing these? Well done to the lads that produced it,delighted with it. 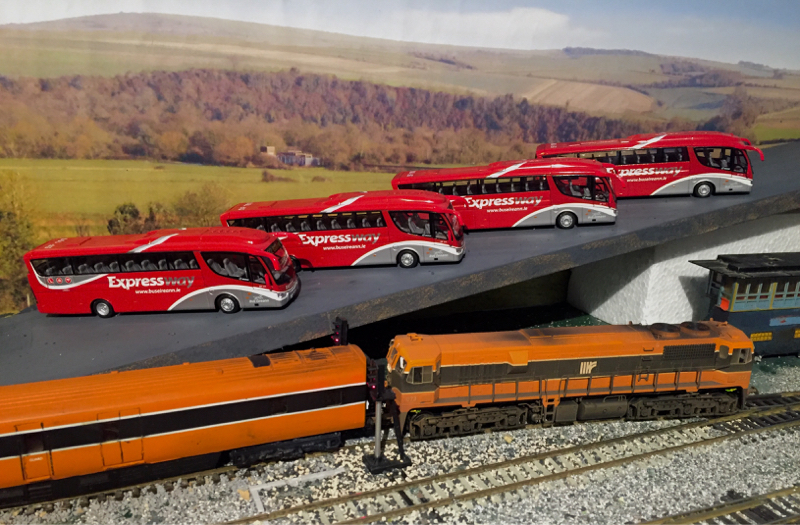 Some modern Bus Eireann buses.